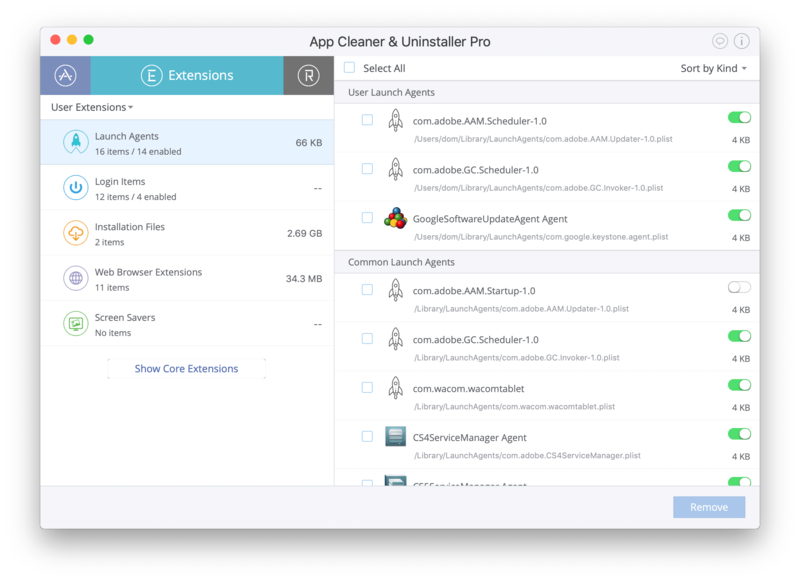 We’ve made a guide to getting started on App Cleaner & Uninstaller. Now it’s easier for you to uninstall programs completely, find junk files and change login items or other system extensions. This guide will help you to get acquainted with the tool quickly, securely and reliably. It includes setup, how to uninstall programs, how to remove remains and how to manage system extensions. launch App Cleaner & Uninstaller and confirm access to the Applications folder to get the installed programs list. For this, click Confirm. In a new window, you will see all your apps from the Applications folder. To find their service files, you need to grant access to the Home folder. Click the Confirm button again. 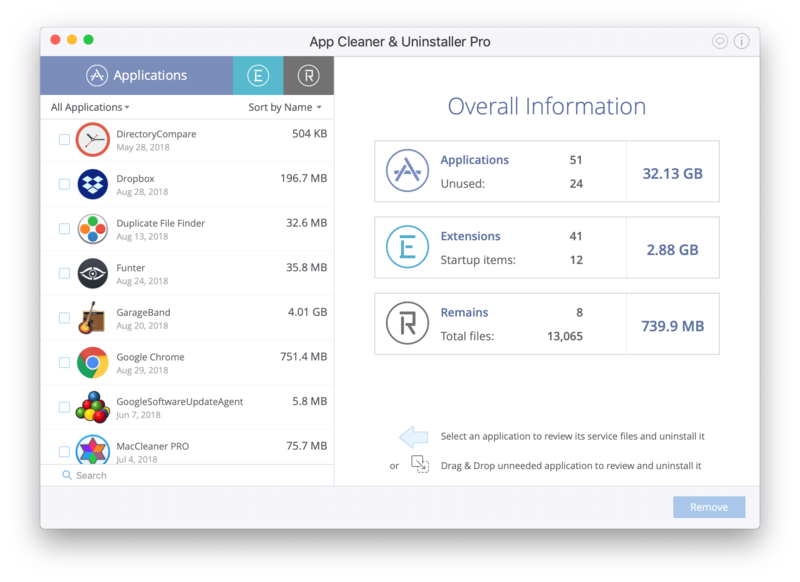 Now you are ready to start cleaning up your Mac. The application will start scanning your hard drive and in several seconds will show you the scan results. With App Cleaner & Uninstaller, you can remove any item mentioned above. 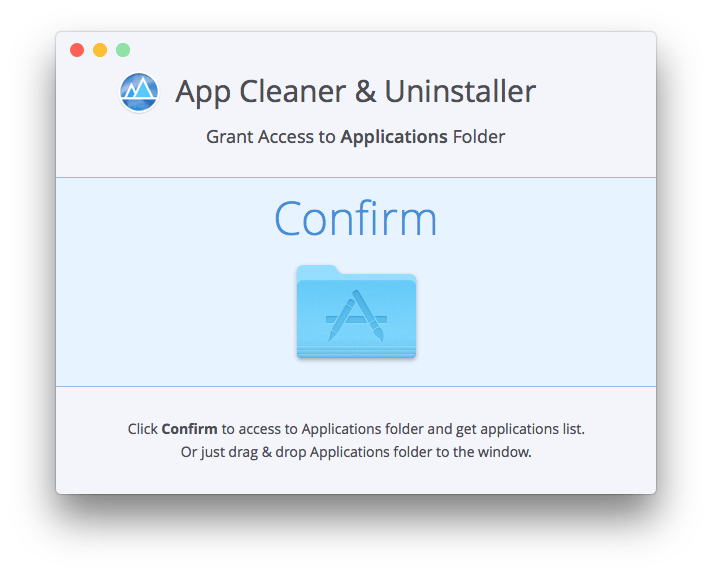 The Applications Tab provides you with the possibility of uninstalling programs on Mac completely without a single remainder of its cache files. The list of all apps installed on your Mac is displayed in the left section. The list of caches, preferences, supported document types, crash reports and all other service files of each application is displayed in the right section of the window. 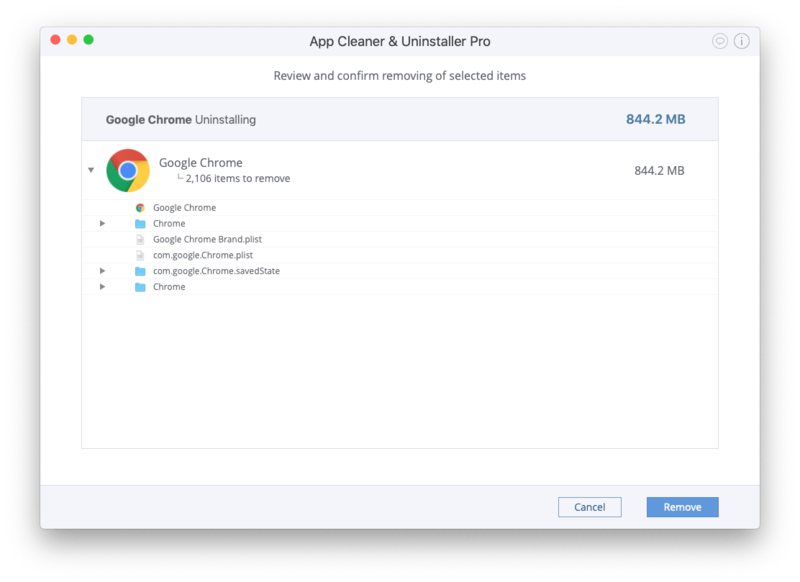 To uninstall an app completely, you should remove all its service files and the executable item. First, select the application. Then click the Uninstall or Remove button. You will see the confirmation window with a list of all files to be removed. Confirm the app removal by clicking the Remove button. *Some of your files may be locked. In this case, the application will require your confirmation and will show the appropriate message. Click the Confirm button to allow the application to remove unneeded files. 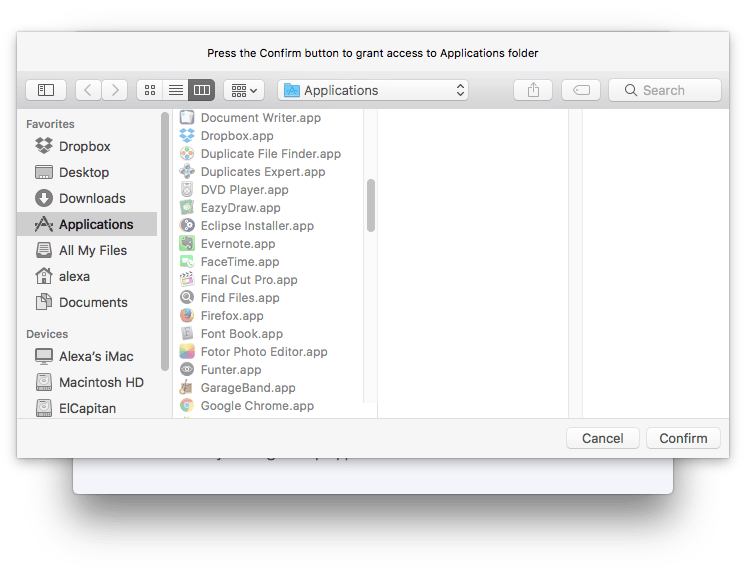 In the Extension tab, you find a list of all system extension files in your Mac operating system: launch agents, login items, Mac and iOS installation files, and screensavers. Click Show Core Extensions to preview preference panes, internet plugins and widgets on your computer. Click Hide Core Extensions to hide them again. 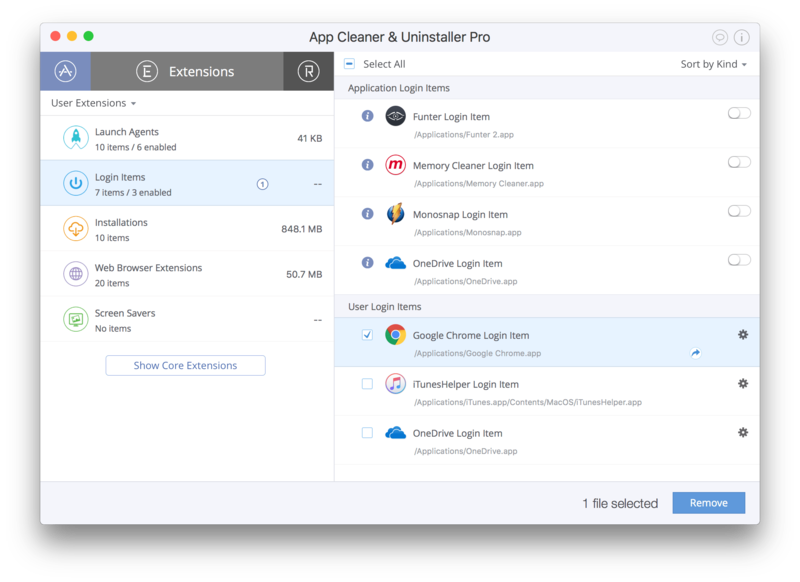 In this tab, you can easily change login items and launch agents and stop programs from launching automatically at Mac startup. For this, use the switch button. If you don’t want the app to run at Mac startup, switch the item off. 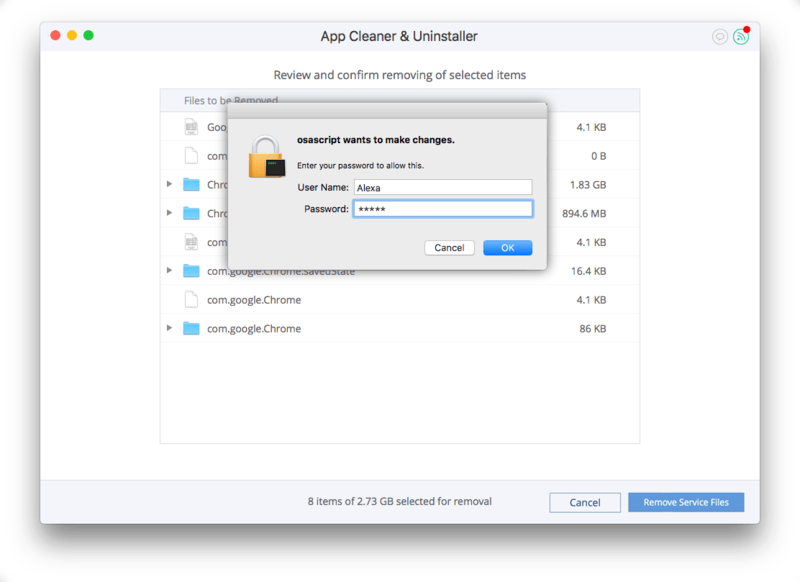 If you use App Cleaner & Uninstaller Pro, you even have the possibility of removing extension items. 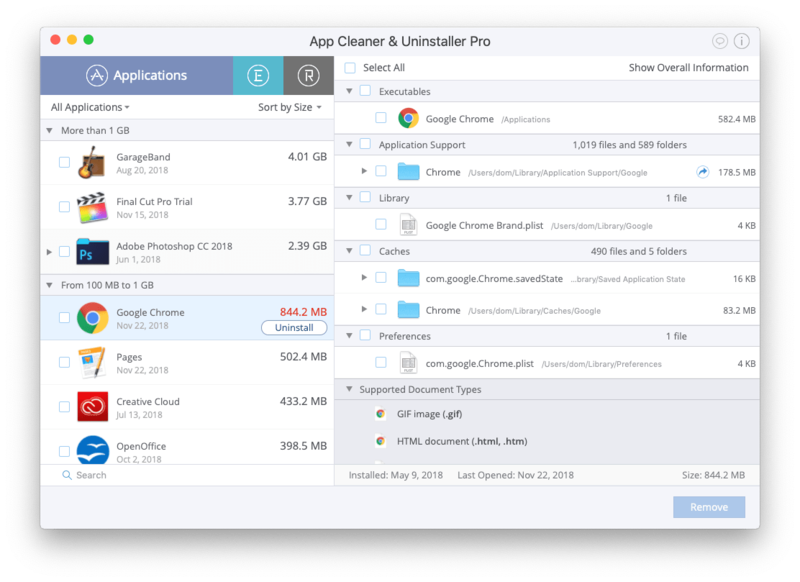 When you remove apps the regular way by just dropping them in the Trash bin, their service files still remain on your Mac. These leftovers can be found in the Remains tab. To get rid of them, select the files and click the Remove Service Files button. 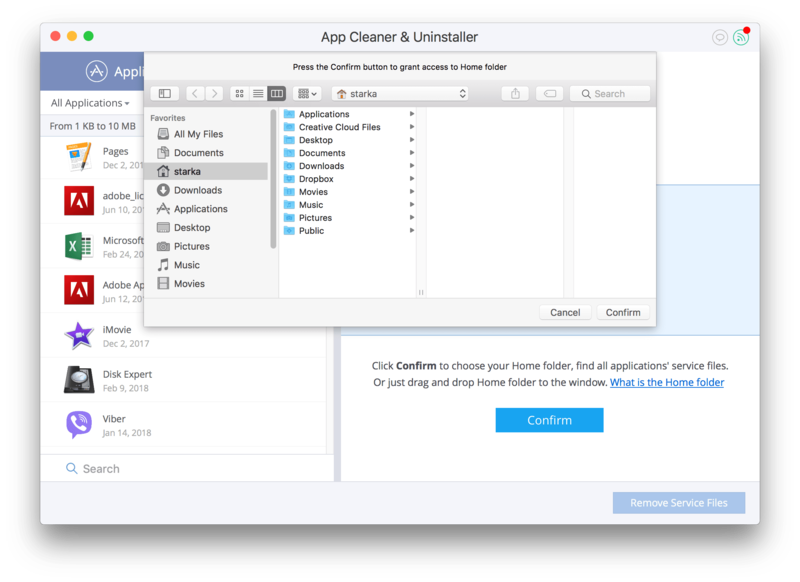 Now you know how to quickly clean up your Mac computer with App Cleaner. App Cleaner is your efficient tool to uninstall unused applications and prevent unneeded files from cluttering up your disk.